Captain Kirk nears the end of his iconic journey. We all know how Captain Kirk’s five-year mission starts, but did you ever want to learn how it ends? IDW Publishing will soon be telling that part of The Original Series story with a new comic book series, Star Trek: Year Five, all about the final year of the Enterprise’s iconic five-year journey. As revealed by the Hollywood Reporter, IDW Publishing is working on a new series centered around the Starship Enterprise as it entered the final year of the five-year mission to seek out new life in the galaxy. With writers that include Brandon Easton, Jody Houser, Jim McCann, Collin Kelly, and Jackson Lanzing—and illustrated by Stephen Thompson—the series will focus on the end of the mission, as well as how the captain and his crew prepare for “the uncertain future that awaits them” after finally completing it. In a statement reported by THR, Lanzing said the series would be a character-driven look at Kirk’s final year in command, and that his actions would “have huge ripple effects, from the outbreak of war in the Alpha Quadrant to an unprecedented strain of trust with Spock.” And much like how the original series brought attention to social issues of the day, this new series will do the same for issues in our own society. Hopefully we don’t get another “Make the Empire Glorious Again” tidbit, eh Star Trek? Since The Original Series was set during the first three years of the five-year mission, there has always been the untold story of what happened after. It was previously explored back in 2007-2008 with IDW’s Year Four miniseries, which centered around the fourth year of that mission. 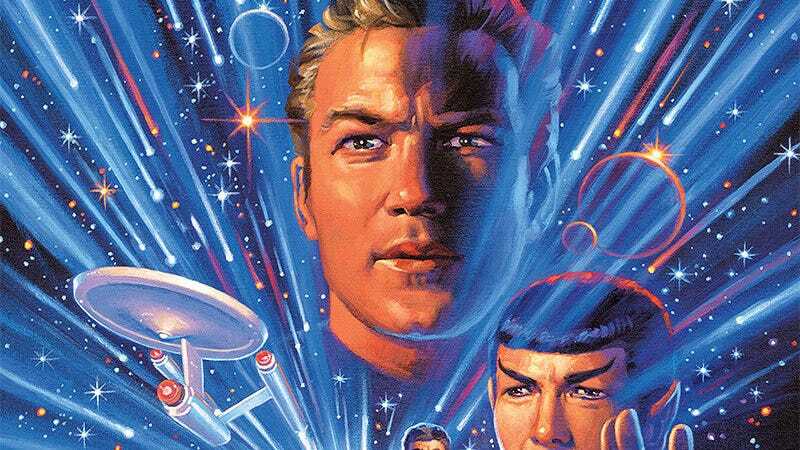 And while this technically isn’t the first time Star Trek has delved into the final year of the five-year mission—The Animated Series was reportedly set during that time—it is the first time that the franchise is doing it officially. Star Trek: Year Five comes out in April.